라세레나 시티 센터에 위치한 Hotel Costa Real은 여행객들에게 최고 인기있는 곳입니다. 이곳에서 생생한 도시의 모든것을 쉽게 즐기실 수 있습니다. 모험을 즐기신다면, 라플로리다 공항 같은 다양한 명소를 제공하고 있습니다. Hotel Costa Real에는 다양한 시설이 있어 라세레나에서의 시간을 풍요롭게 해줍니다. 호텔에서는 24시간 프런트 데스크, 여행 가방 보관, 발렛 파킹, 룸 서비스, 회의시설 등을 포함하여 손님들을 위해 최고의 편안함을 제공합니다. 최고 수준의 객실 시설 및 최상의 편리함을 약속해 드립니다. 일부 객실에서는 난방, 모닝콜 서비스, 책상, 미니 바, 발코니/테라스 등을 제공합니다. 호텔은 실외 수영장 등을 포함하여 다양한 종류의 여가 시설을 완벽하게 제공합니다. 최상의 시설과 완벽한 위치의 Hotel Costa Real 숙박시설은 라세레나에서 즐겁게 머무르시기에 완벽한 장소입니다. LOCAL TAX LAW. Based on local tax laws, all Chilean citizens and resident foreigners must pay an additional fee (IVA) of 19% To be exempt from this 19% additional fee (IVA) the payment must be made in US dollars and a copy of the immigration card and passport must be presented. The passenger won't be exempt from this fee when paying in local currency. In case of no show the invoice will be billed in local currency, including this additional fee (IVA). This additional fee (IVA) is not included in the hotel rates and must be paid seperately. 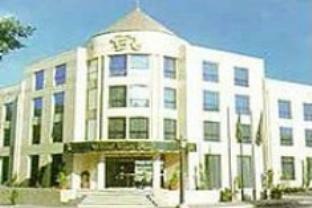 The Costa Real hotel is located just next to the city centre and on one of the main road of the city. The rooms are nice, the staff us helpful, the breakfast is similar to other places. Dinner was bad and one night there wasn't hot water at the bath, but in general it's not bad.